Starsky & Hutch is an American comedy action film based on the show of the same name. The film centers on two police detectives, Dave Starsky and Ken Hutchinson (Hutch). The two are partners on the force and work on the toughest cases out there. Their latest case involves a college drug dealer turned white collar criminal. Starsky & Hutch work to crack the case with a little help from Huggy Bear, their reliable confidential informant, as well as their iconic Ford Torino hot rod. 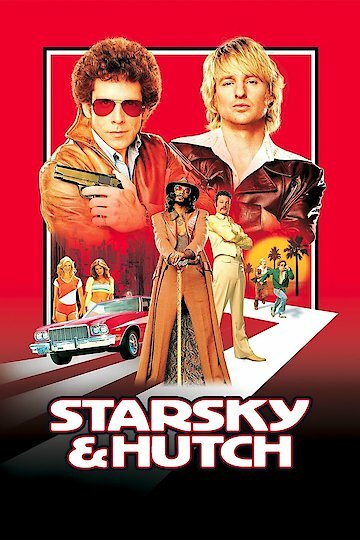 Starsky & Hutch is currently available to watch and stream, download, buy on demand at Amazon Prime, Amazon, Vudu, Google Play, FandangoNow, iTunes, YouTube VOD online.